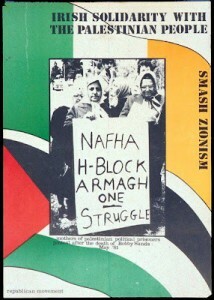 During the Irish Hunger Strike in 1981 that was led by Bobby Sands, a statement was smuggled out of Nafha Prison from the Palestinian prisoners and sent to the families of the 10 men who died. 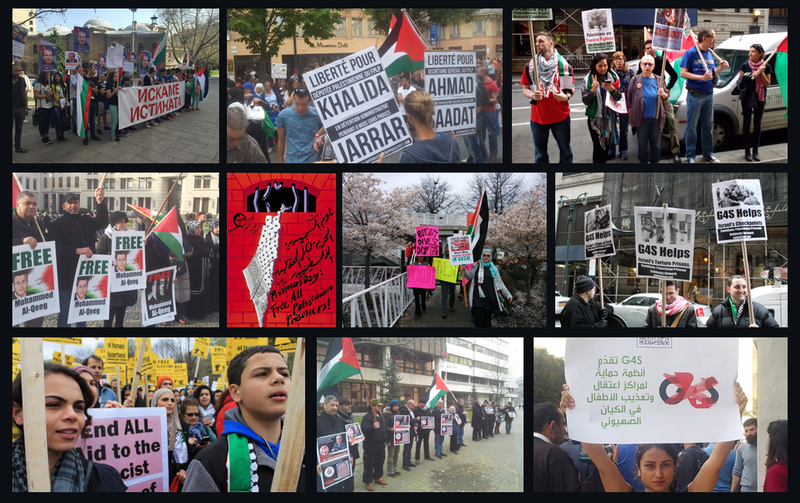 That support has never been forgotten, and while Khader Adnan and Hana Shalabi were on Hunger Strike, several families of the 10 men who died, and former Hunger Strikers sent several messages of support to them and their families. They have also sent messages to the current Palestinian prisoners who are on Hunger Strike, and to their families. “To the families of the martyrs oppressed by the British ruling class. To the families of Bobby Sands and his martyred comrades. We, revolutionaries of the Palestinian people who are under the terrorist rule of Zionism, write you this letter from the desert prison of Nafha. We extend our salutes and solidarity with you in the confrontation against the oppressive terrorist rule enforced upon the Irish people by the British ruling elite. We salute the heroic struggle of Bobby Sands and his comrades, for they have sacrificed the most valuable possession of any human being. They gave their lives for freedom. From here in Nafha prison, where savage snakes and desert sands penetrate our cells, from here under the yoke of Zionist occupation, we stand alongside you. From behind our cell bars, we support you, your people and your revolutionaries who have chosen to confront death. Since the Zionist occupation, our people have been living under the worst conditions. Our militants who have chosen the road of liberty and chosen to defend our land, people and dignity, have been suffering for many years. In the prisons, we are confronting Zionist oppression and their systematic application of torture. Sunlight does not enter our cell. Basic necessities are not provided. Yet we confront the Zionist hangmen, the enemies of life. Many of our militant comrades have been martyred under torture by the fascists allowing them to bleed to death. Others have been martyred because Israeli prison administrators do not provide needed medical care. The noble and just hunger strike is not in vain. In our struggle against the occupation of our homeland, for freedom from the new Nazis, it stands as a clear symbol of the historical challenge against the terrorists. Our people in Palestine and in the Zionist prisons are struggling as your people are struggling against the British monopolies and we will both continue until victory.